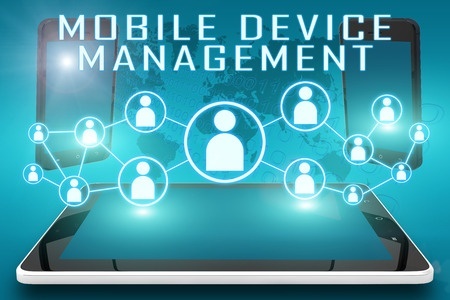 What You Need To Know About Mobile Device Management? According to the Gartner research firm, Mobile Device Management (MDM) can be defined as the variety of products and services that aids IT companies in deploying and supporting corporate applications and software to mobile devices. These mobile devices include tablets and smartphones which are made for personal use. MDM aims to enforce and maintain the preferred level of IT control among several platforms. In other words, mobile device management can be defined as a type of security software that enables the IT department of an organization to manage, monitor and secure the mobile devices of employees deployed across numerous service providers and operating system used by the organization. The MDM software is usually combined with extra security tools and services like Mobile Application Management to form a complete mobile device and security. The goal of MDM is to improve the security and functionality of smartphones within an organization as well as protect its corporate network. How does Mobile Management Work? Mobile device management depends on an MDM agent (which is an endpoint software) and an MDM server which is located in a data center (either in the cloud or on premises). The IT technicians would configure policies using the MDM server’s management console. Afterward, the server then pushes the policies through the air to the MDM agent on the phone. The technicians apply the policies to the phone by interacting with application programming interfaces (APIs) designed directly into the operating system of the device. Likewise, the IT agents can deploy applications to monitor and manage devices through the MDM server. MDM emerge in the early 2000s as a means of securing and controlling the personal digital assistants and the mobile phones that business employee use. The boom in the consumer smartphone which began with the launch of the Apple iPhone in 2007 instigated the “bring your device” trend which later ignited the interest of organizations in MDM. Today, MDM products are compatible with smartphones as well as tablets, macOS computer, Windows 10 and some IOT devices. The practice that involves the use of MDM to manage PCs is called unified endpoint management. The producers of mobile operating systems and developers of mobile devices control what the MDM software can and cannot do on a mobile device through their APIs. Hence, MDM is an asset, with most vendors providing an identical set of core features. The difference in the MDM vendor comes by connecting mobile device management servers with other enterprise software. Most MDM solutions provide corporate bodies with end-to-end security. Hence, the mobile apps, data, and network used by the smartphone are controlled by the IT department of the organization through a single mobile device software product.